Avea ve Vodafone’dan 2444’e, Turkcell’den 2555’e START mesajı göndererek SMS üzerinden Twitter kullanmaya başlayabilirsiniz. (Translation: You can send Tweets using SMS. Avea and Vodafone text START to 2444. 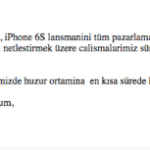 Turkcell text START to 2555). It also looks like this tweet has been deleted. 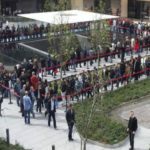 Last month the first Apple store opened in Turkey. Rumors had it that Tim Cook would attend the opening but he did not. 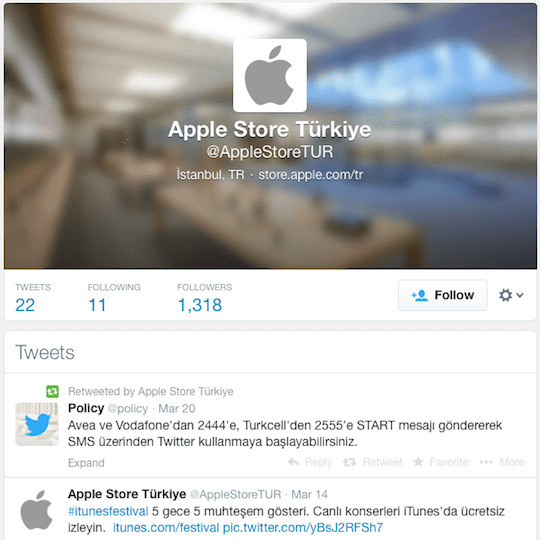 In Turkey, access to Twitter and YouTube was blocked. The highest Turkish court has recently overturned the bans. 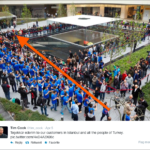 The Turkish media argued before the store opening that Tim Cook changed his mind because of this internet censorship.